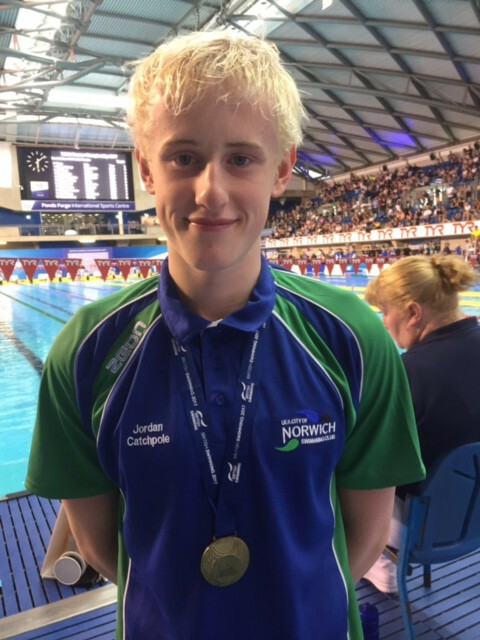 Athlete of the Month - Jordan Catchpole – Youth Sport Nutrition Ltd.
Beccles paralympic swimmer, Jordan Catchpole, 17 is part of the British Swimming World Class Podium Potential Programme, and trains eight times a week with the City of Norwich Swimming Club. He started lessons at the age of four and joined Lowestoft and Oulton Broad Swimming Club where his coaches saw potential as a competitive swimmer. 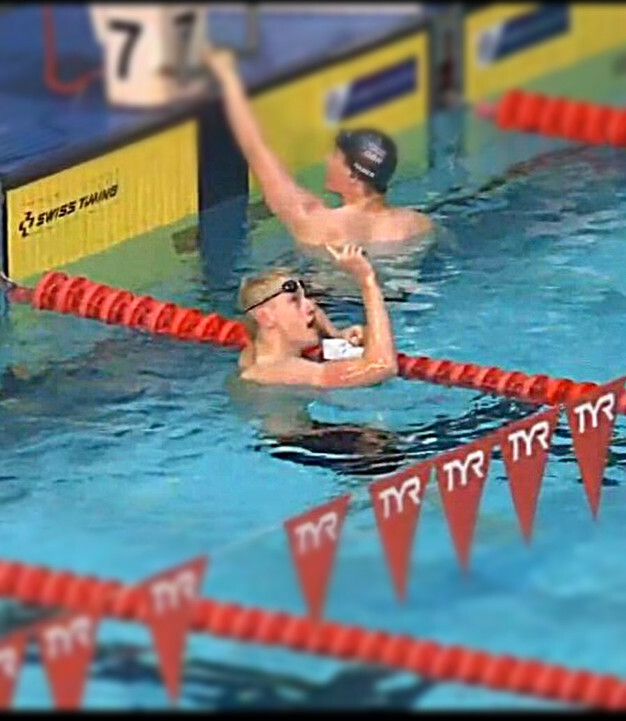 Since then he has gone on to set a new S14 world record in the 200m backstroke and broke his own S14 British record in the 50m backstroke. He also set a new personal best in the 400m freestyle. 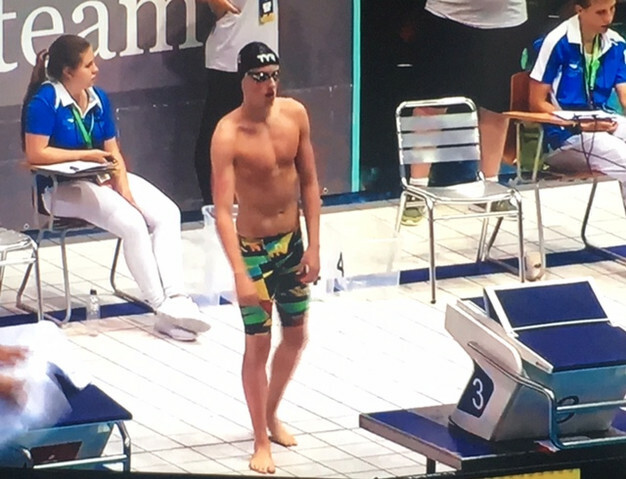 Jordan already holds several swimming records and now has his sights set on competing at the 2018 Commonwealth Games in Australia and the Tokyo 2020 Paralympic Games. TeamYSN caught up with Jordan last week to dig a little deeper into his tools, tactics and strategies that have allowed him to excel at this level. Our brief Q&A below covers topics including competition prep, sports nutrition and concise advice to upcoming athletes. Jordan has recently qualified to represent TeamGB at the World Para Swimming Championships in Mexico in September. You can follow his journey @JCatchpole123 (Twitter). J: I started swimming lessons from the age of 4, then went on from there. J: I make sure I have plenty of carbs, protein and vegetables and fruits, but reduce the carb intake when in competition and stick with the protein. J: I listen to my coach if ill or injured. Plenty of rest and recovery. I keep motivated because I enjoy what I do, and want to succeed. As a very successful youth athlete, how often do you train? J: I train 8 times a week, sometimes twice a day. J: I take pro-biotics, & multi vitamins every day. And stick to a healthy balanced diet. J: I feel nervous sometimes, but I try and stay relaxed but prepared for the race. It’s a good feeling when you see you have won. I listen to inspirational speeches by Anthony Joshua, to get focused. What advise would you offer to Parents of youth athletes regarding their training, the pressure to perform (academic and sporting) and catering for nutrition? How can parents best support their training objectives? J: Parents must trust the coach regarding training etc. To support the swimmer through up’s and downs not put added pressure on them. What are your objective thoughts on Youth Sport Nutrition designing PROTEEN, the first safe supplement for high level youth athletes to support their recovery post training/match? This has helped me more than others, as I am still young. Its good that it is designed specifically for youth athletes. The flavours are the best. If you want supplements make sure they are certified by Informed Sport. There are certain supplements that can help you recover quicker etc especially when in competition. If you need medication etc. there is a website you can use to make sure it is safe. Always double check before you buy. Feeling inspired? Get in touch with us if you would like to share your story and help others to get in to sport. Help us in our mission to spread the word around the importance of correct nutrition for young athletes in top level sport.